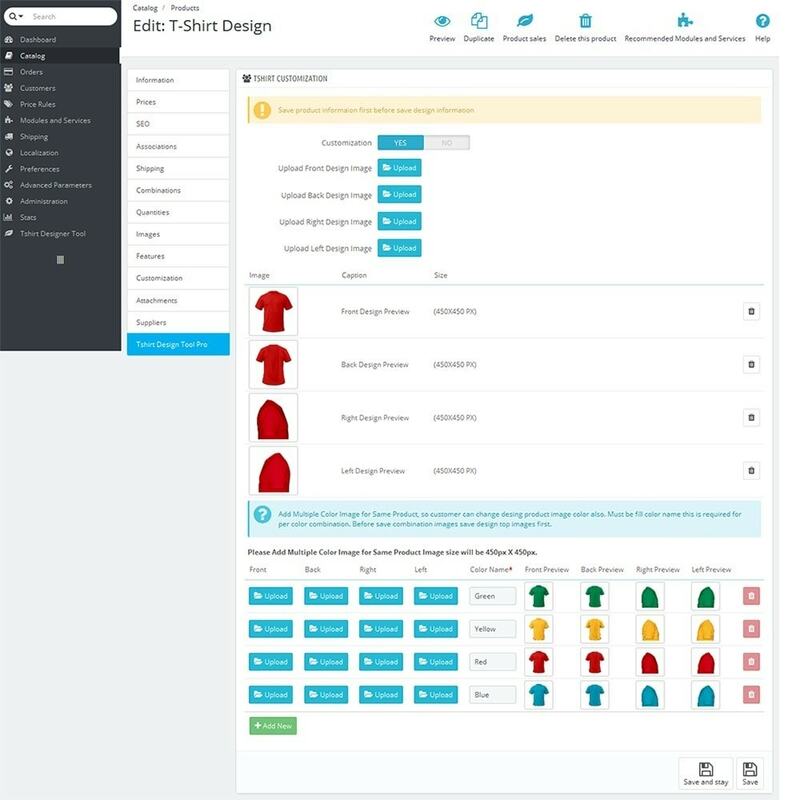 "Custom Product Design Studio" can help to desing any product and admin can check that desing product full details. This is 4 laters based design tool that help to desing product easily and quickly. 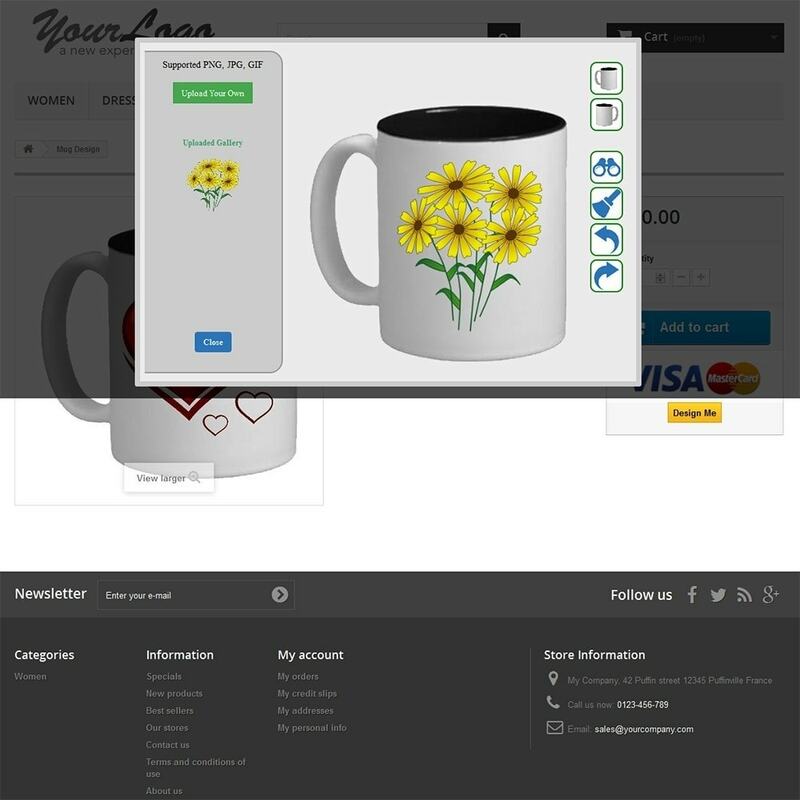 "Custom Product Design Studio" module has some excellent features and easy to install or setup. "Custom Product Design Studio" module is more flexible and compatible with many existing module in the Prestashop repository. 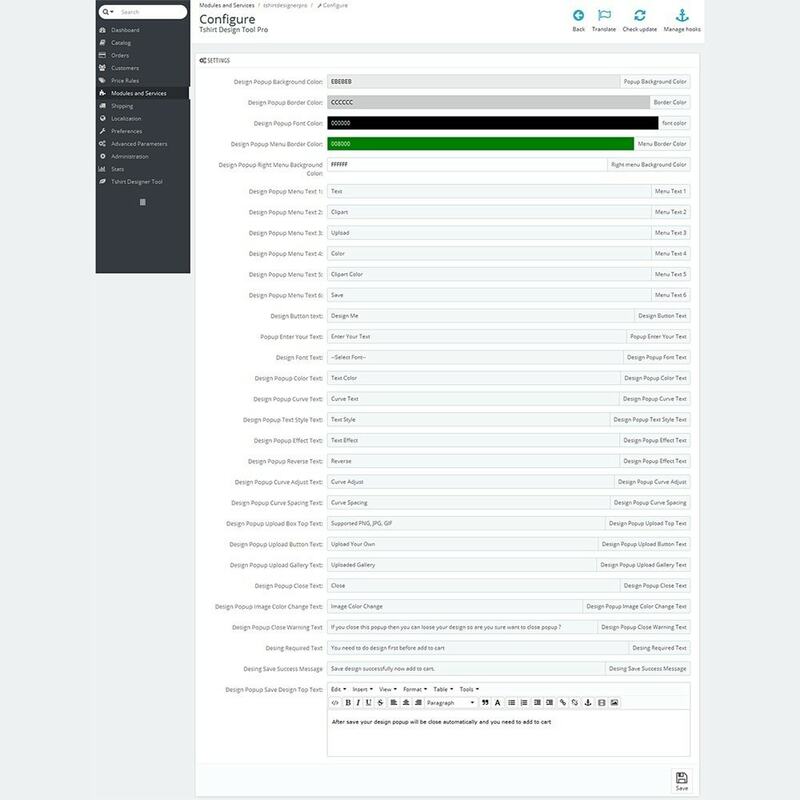 This module is fully customizable. 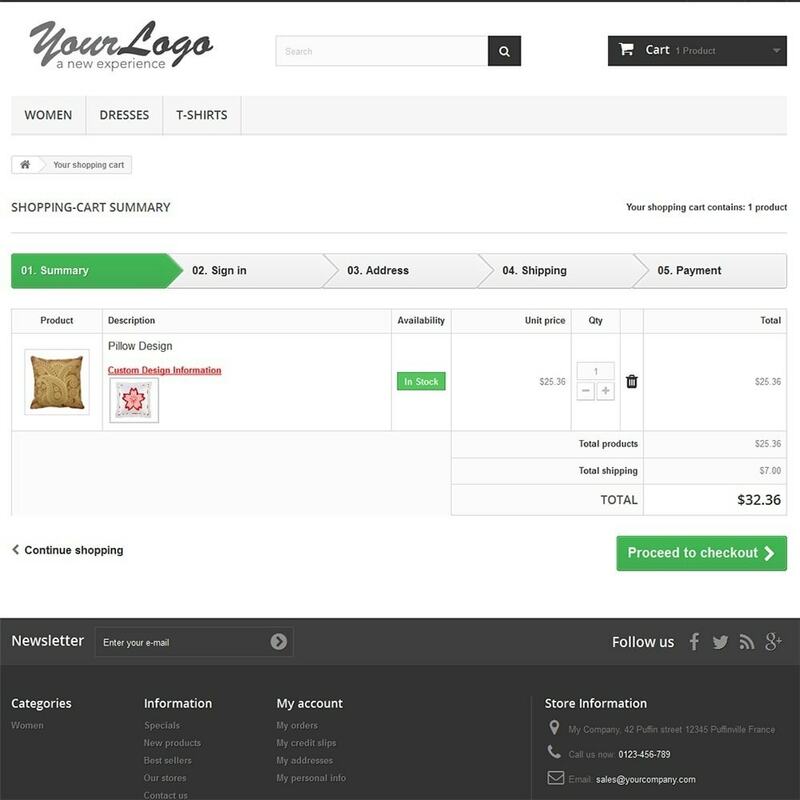 Users can easily configure the module into the new or existing Prestashop Stores. 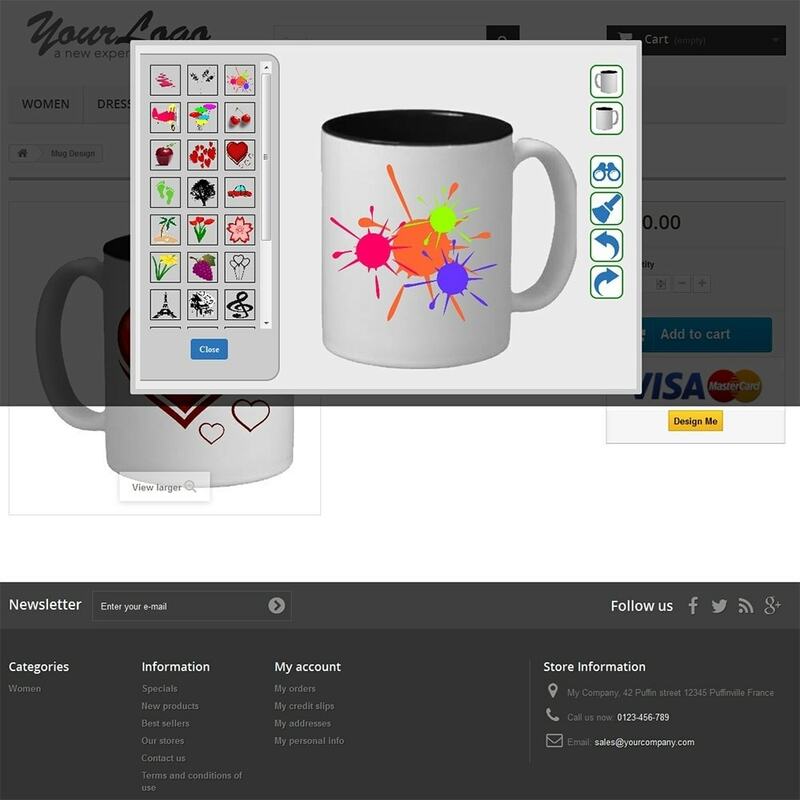 Shoppers can upload their own Design/Image/Logo/Clipart to print on product while shopping. Add Normal or Curved Text with various “Text Effects” and “Reverse” text facilities on the product. 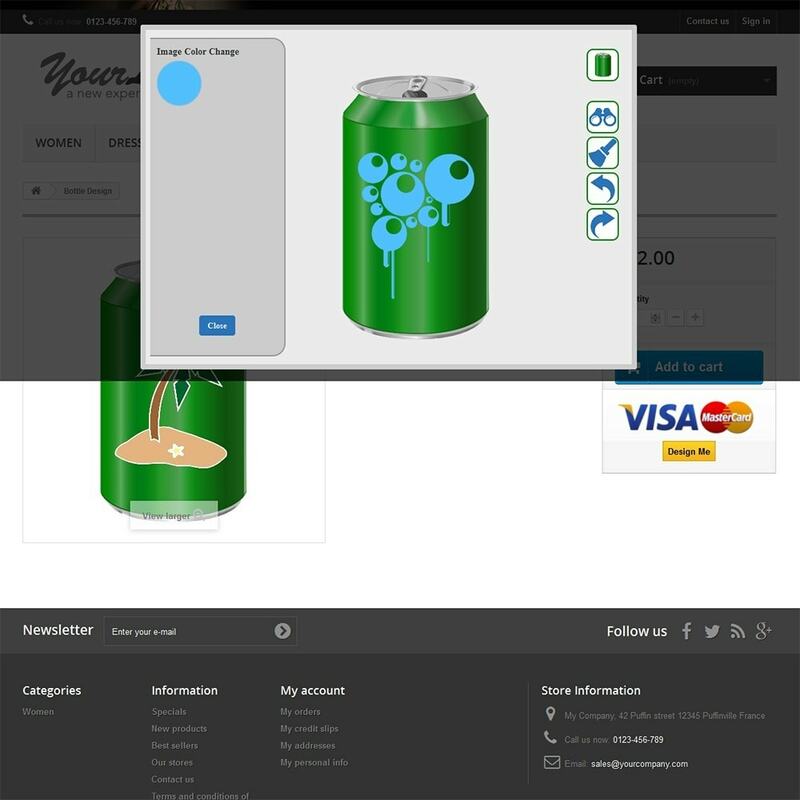 Can select an Image/logo from the existing logo/images to put on the product. Choose the product variation as color. Image color filter facilities are available. Any black image (svg or png) can be colored by this option. Save the design and add to cart. Place Text or Images in any position of the product. Shows Preview mode of the Product as designed. Design can be clear in one button. Multiple logo or clipart can be swap. Design can be possible in four side of a product. Customer can desing his/her product very soomthly using our desing tool. 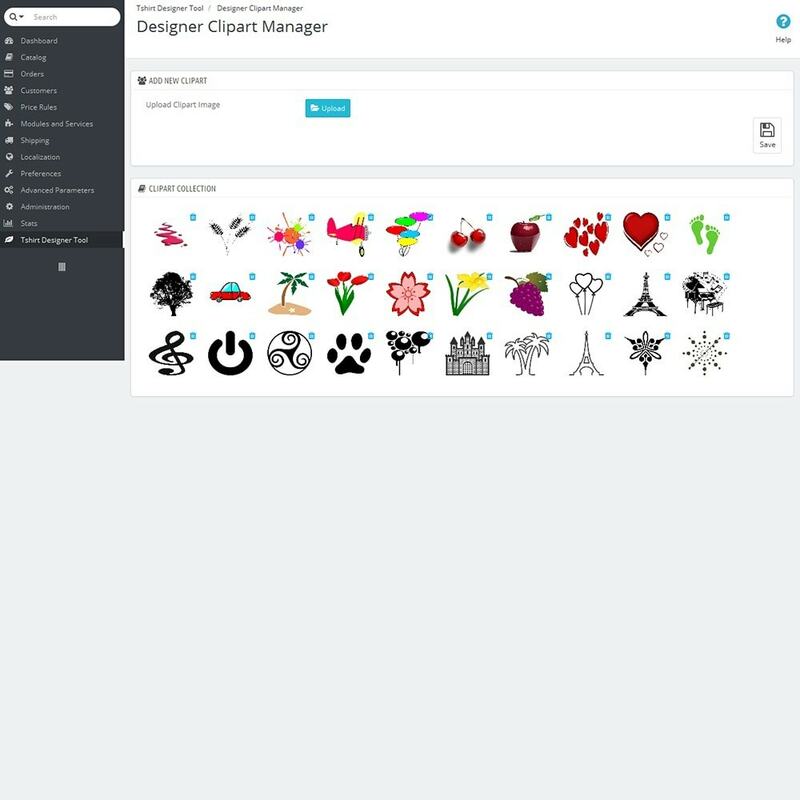 Customer can upload his owm image and add design text with image color filter. 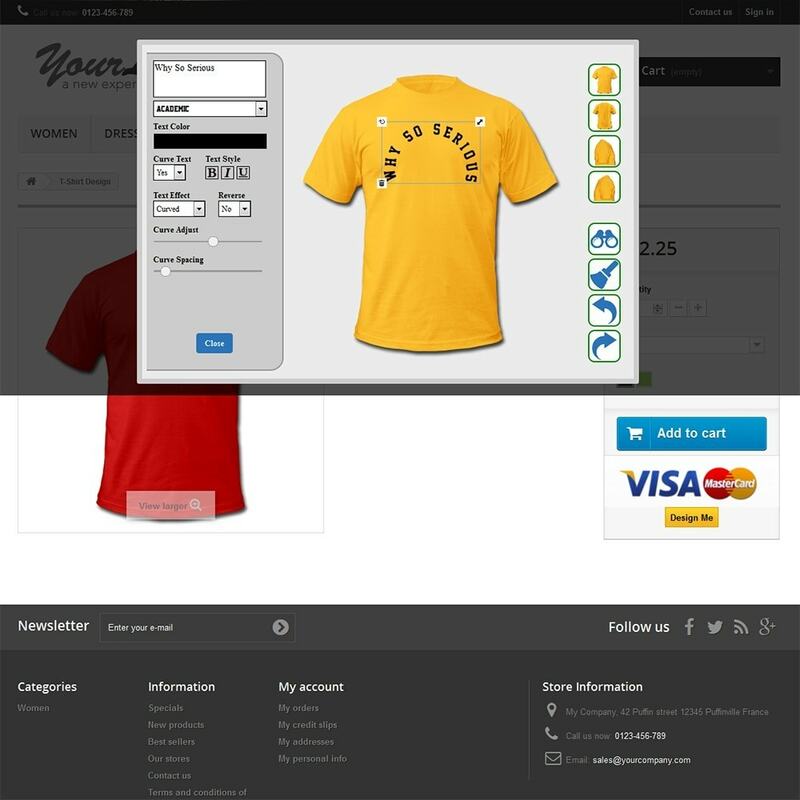 After done design customer can add to cart with product variation. Customer can add plain text or curved text also and can be use 4 desing layers. Customer can choose product color while desing a product so its really nice and good module for custom product design. 1. Download the module and unzip the folder. 2. Now upload the module zip file via prestashop module uploader. 3. Install/Activate the module from “Modules and Services” menu of Admin. 4. 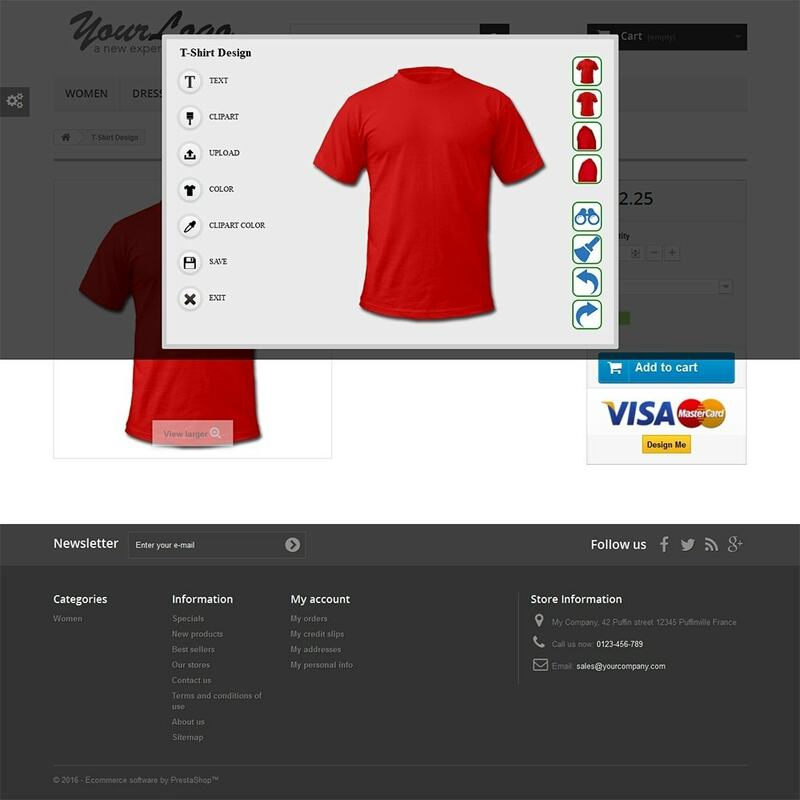 Click on the “Tshirt Design Tool Pro’s” “Install” button to install the Module. 5. 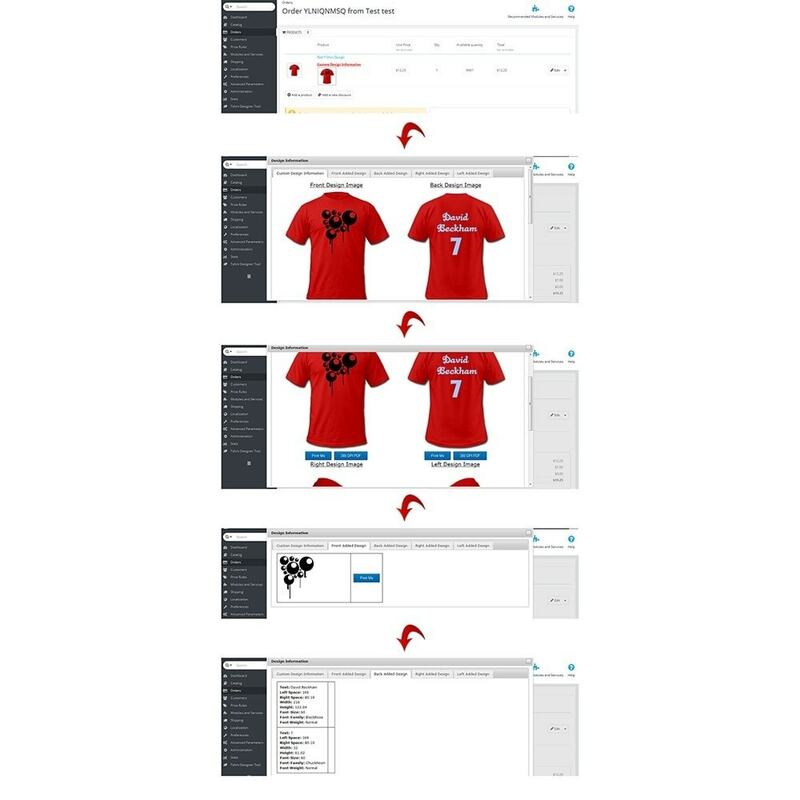 Go to Modules and Services > Modules and Services > “Tshirt Design Tool Pro” > Configure to configure your necessary settings. (You can customize all the text and color from here). 6. 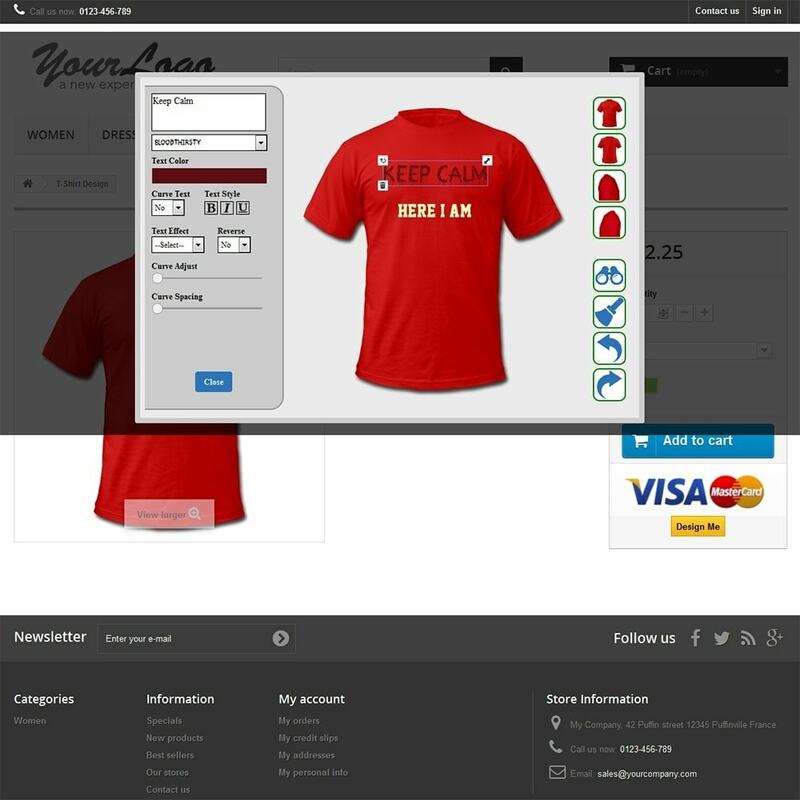 Now add a product from Catalog > Products > and Go to “Tshirt Design Tool Pro” Tab. At first enable the “Customization” option by clicking “Yes”. From here you can upload front, back, right and left side of products image. 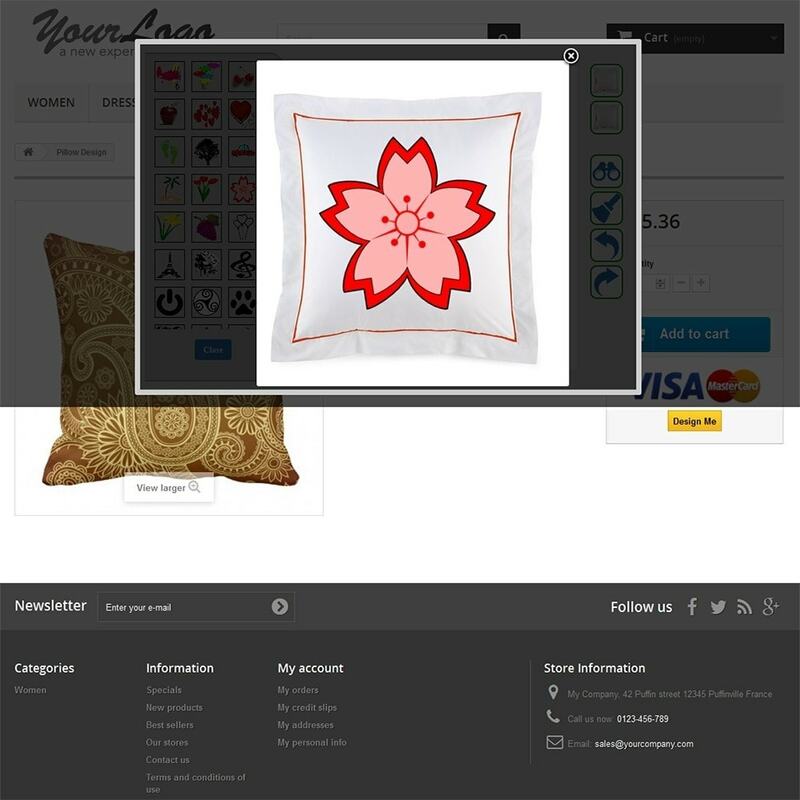 Store owner can add/upload multiple color images for same product. Image size must be 450px X 450px and insert the color name (It is required). 7. 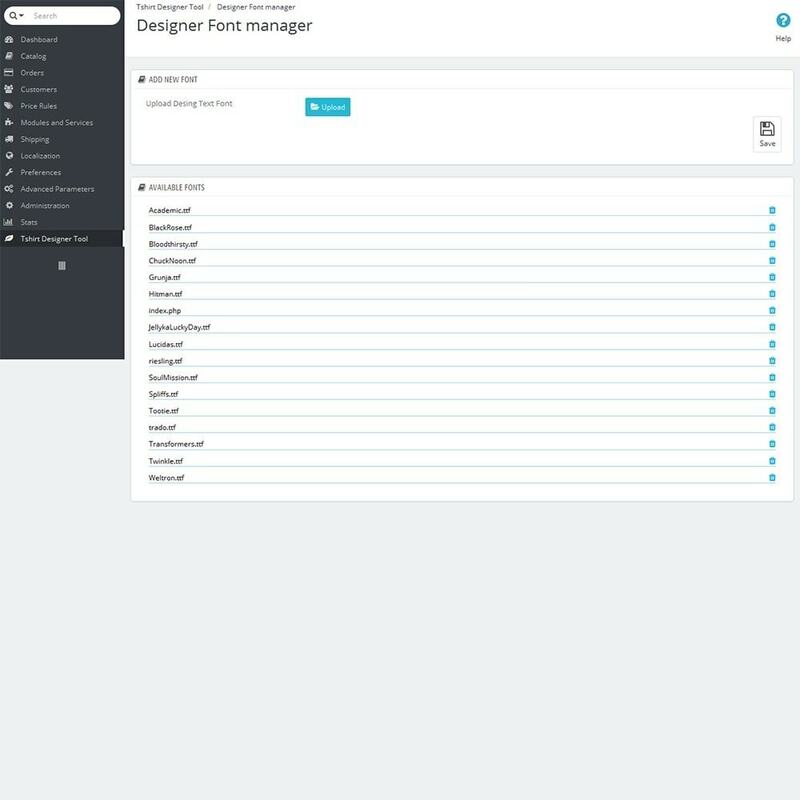 For add multiple text font from admin go to admin’s dashboard and click on Tshirt Designer Tool > Designer Font Manager and upload from here. 8. 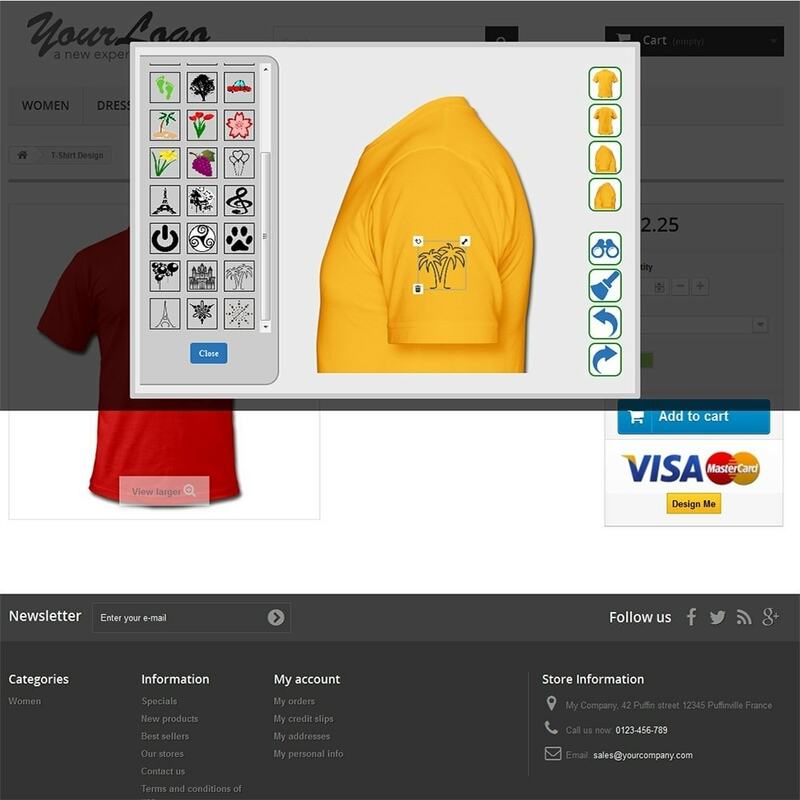 For add clip-art to show in frontend go to Tshirt Designer Tool > Designer Clipart Manager and upload from here. 9. Now design your product in frontend. 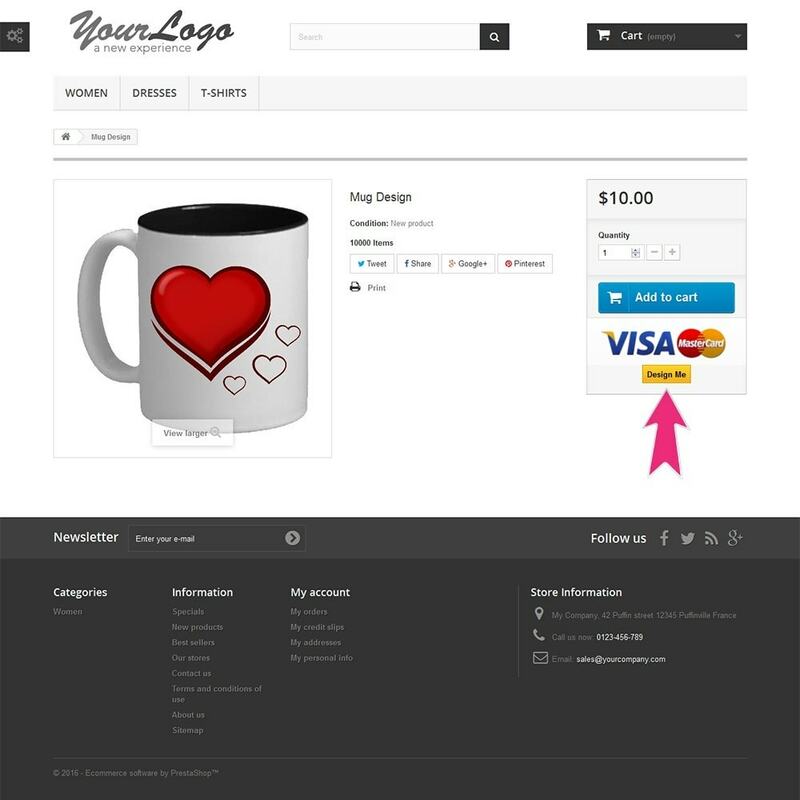 Go to products details page and click on “Design Me” button and start design. Back office we already follow prestashop UI and 1.6 elements.